Halloween doesn’t have to be a holiday lead by sugary sweets, but rather, one that brings your community together and keeps you on your feet! If you’re at home hanging out candy to neighborhood kids, you’re not off the hook! Take this chance to game-ify the experience and make it more fun for everyone, while burning some calories. 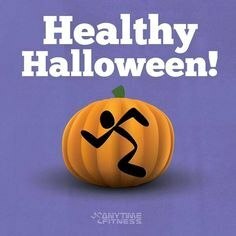 Anytime Fitness's Halloween Workout Guide will do just that and keep you on your toes.